The UFO Partisan: The Truth Revealed By The FBI-UFO Memos? Truman Didn't Like J. Edgar Hoover! The Truth Revealed By The FBI-UFO Memos? Truman Didn't Like J. Edgar Hoover! Much has been made about the FBI's new online database for searching through certain available documents, particularly as it relates to one 1950 memo regarding a UFO crash sent directly to then FBI Director J. Edgar Hoover. While it's a memo that has been available awhile, its' existence is new to a lot of people and the memo itself is significant and raises a significant question. Why any interest at all from Hoover if there's nothing to UFOs? 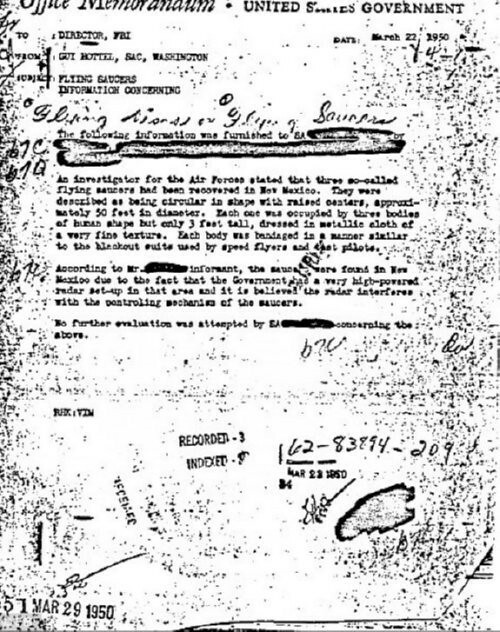 It is one of a number of documents that establish that Hoover had interest in UFOs, as demonstrated recently by Anthony Bragalia at the UFO Inconoclast(s) blog. The quality of the information within these memos, the one above getting all the recent attention and likely regarding a tall tale passed through many sources before reaching Special Agent Guy Hottel, also demonstrates Hoover was far outside the loop regarding the best information available about them. There's a reason for that . . . President Harry Truman flat out didn't like the wa y Hoover operated. Truman met directly with Hoover only once in his almost eight years as president, about a month after Truman took office and never again. The other ten times Hoover was on the president's calendar were dinners, awards, one of them was to Hoover for his already lengthy service, and receptions, essentially mass gatherings. Privately, Truman pulled no punches in his opinions of Hoover's FBI. From David McCullough's Pulitzer Prize-winning biography of Truman, quoting notes from White House Counsel Clark Clifford, on Page 665, on Truman's views, "very strongly anti-FBI. Wants to be sure to hold FBI down, afraid of "Gestapo." From the same book, in a private correspondence with his wife, Bess, Truman wrote, "If I can prevent [it], there'll be no NKVD [Soviet Secret Police] or Gestapo in this country. 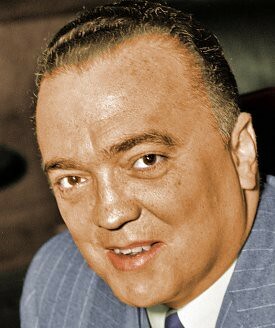 Edgar Hoover's organization would make a good start toward a citizen spy system. Not for me." Hoover's underhanded tactics were known first hand to Truman and he rebuffed Hoover's attempts to send him dirt via techniques like wiretapping and ordered it stopped in no uncertain terms according to this article in Time magazine. 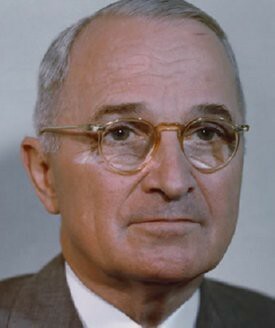 The historical record is quite clear, from first hand sources, that Truman held Hoover in low regard and certainly did not keep him up to speed on what he knew about the UFO situation and the quality of information available in the FBI files bears that out. It's equally clear that Hoover wanted to know the whole story, which is quite significant, but was relegated to outsider status by Truman. So if you want to get closer to the truth about what went on with UFOs during the late 40s and early 50s, take a closer look at the people who had the best information available, not the people who had to rely on second or third or tenth hand gossip. Getting along well has always been crucial in open information exchange as well as tryst, motivation and intent. Oops I meant trust but I will let this comment stay. What is the truth about UFO .... will it be remain mystry forever? There are people like me that rather accept UFO's than the Bible its not as unbelievable. log on to godsuniverse101 on you tube there is life there is life there is life.